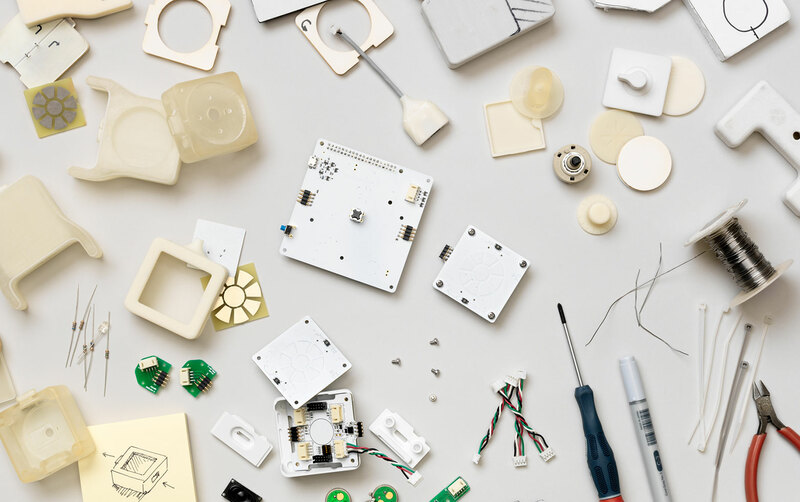 Project Bloks was a research program aiming to create a hardware platform to help developers, designers and researchers build the next generation of tangible programming experiences for kids. 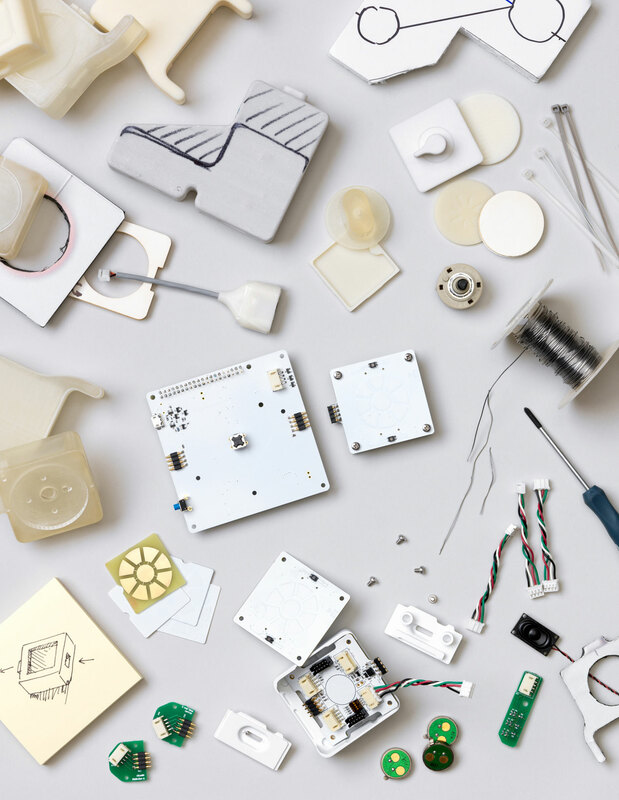 Our design research into the benefits of tangible computing began in 2013 and concluded successfully in 2018. Kids naturally play and learn by using their hands, building stuff and doing things together. One of the benefits of tangible programming is that it makes code physical, so kids can play with it. Our goal was to help kids develop computational thinking (a set of foundational problem-solving skills) from a young age through coding experiences that are playful, tactile and collaborative. The project was inspired by previous academic work in the field. For more in-depth information about our findings, read the Research section. 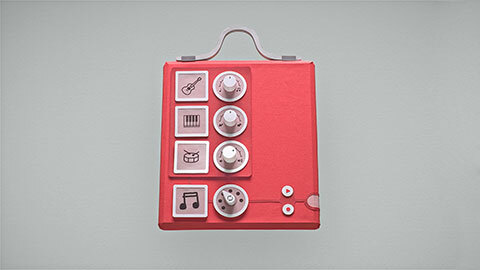 We created a modular system for tangible programming made up of electronic boards and programmable pucks — which enabled people to send instructions to devices when connected together. The system is made up of pucks, Base Boards, and the Brain Board. 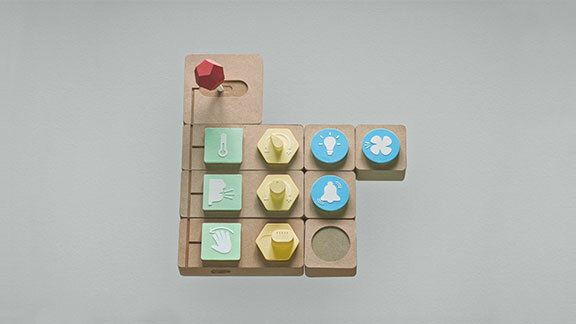 These can have different forms, interactivity and can be programmed with different instructions (e.g. 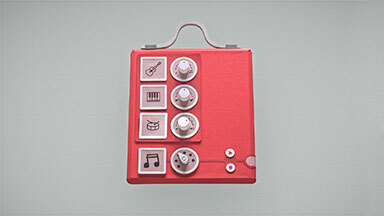 turn on/off, move left, jump, play music). When you place a puck onto a Base Board, the board reads that puck’s instruction through a capacitive sensor. You can connect multiple Base Boards together. This provides power and connectivity. 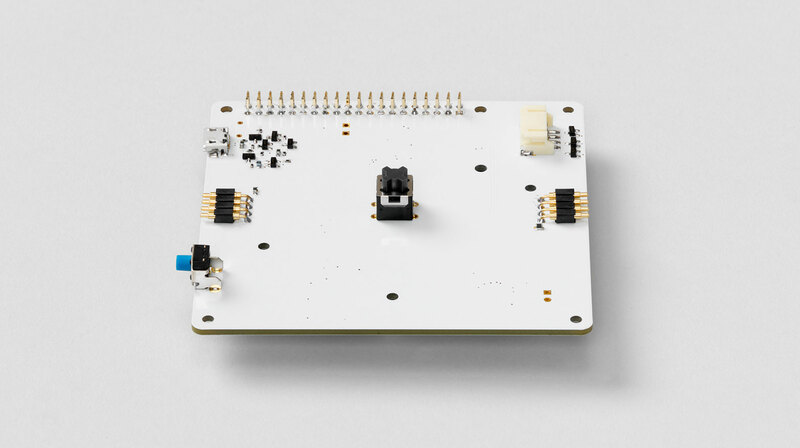 When you connect multiple Base Boards to the Brain Board, it can read their instructions and send them via Wi-Fi or Bluetooth to connected devices. 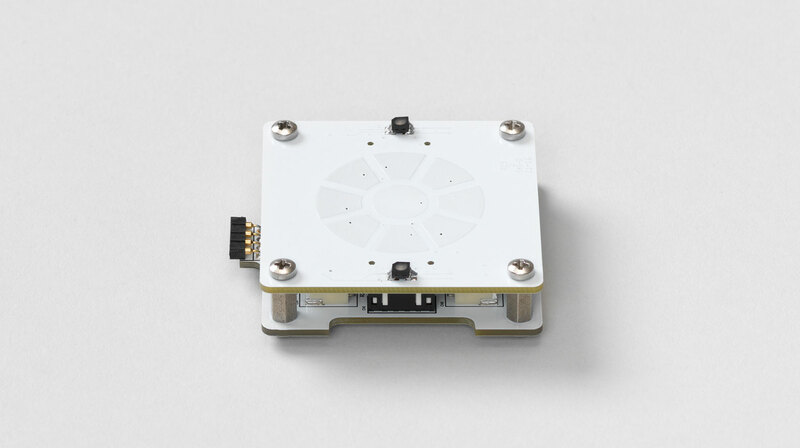 It’s built on a Raspberry Pi Zero. The boards can be covered with any material or form you like and arranged in different ways, to create very different experiences. 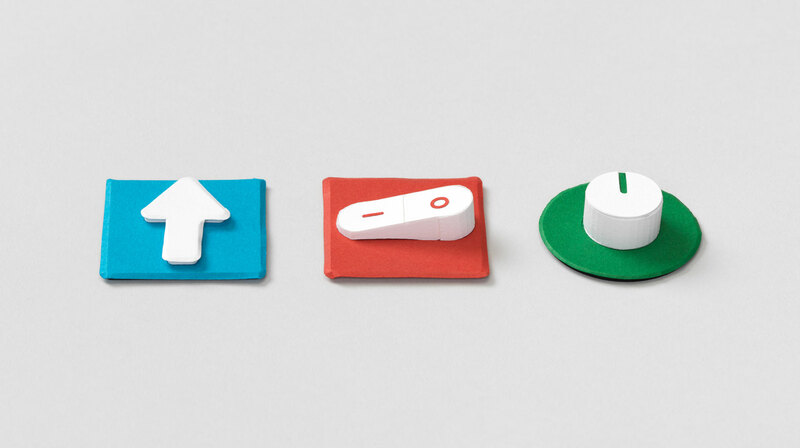 Here are some ideas for what you could create using the system, prototyped in paper. This kit would allow you to experiment with sensors and map an input to an output, like switching on a light if the temperature dropped. With the Music Maker you could compose a track using computational thinking by inputting different instruments, layering and looping sounds, and then playing it through a wireless speaker. 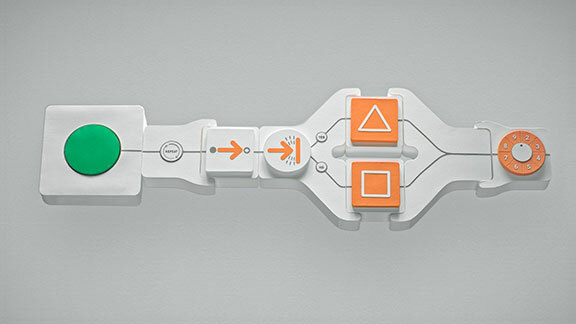 With this kit you could put physical code together to send instructions to toys around you — like controlling a robot to create some art.